Chiropractic care is for everyone in the family. We offer care to infants with colic, prenatal spinal care for expectant mothers, and seniors with achy joints. We also work with our active teenage population, adult athletes and “weekend warriors.” A well-aligned body is important for optimal health regardless of age. Studies show that children that are adjusted early in life have fewer musculoskeletal problems as adults. Dr. Strain and Dr. Stoebner are mothers to young children. We care for our own children, spouses, parents and grandparents – why not yours? Your family’s chiropractic care is important to you … and to us. Have a busy schedule? Need to bring your children with you? We have a place for your children to read or play quietly while you are being treated. We truly care about our patients. You are not just a number here; you are part of our family. 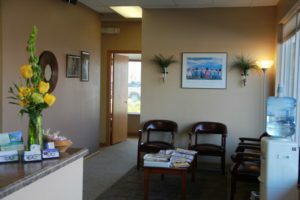 At Strain Chiropractic – families are our business.